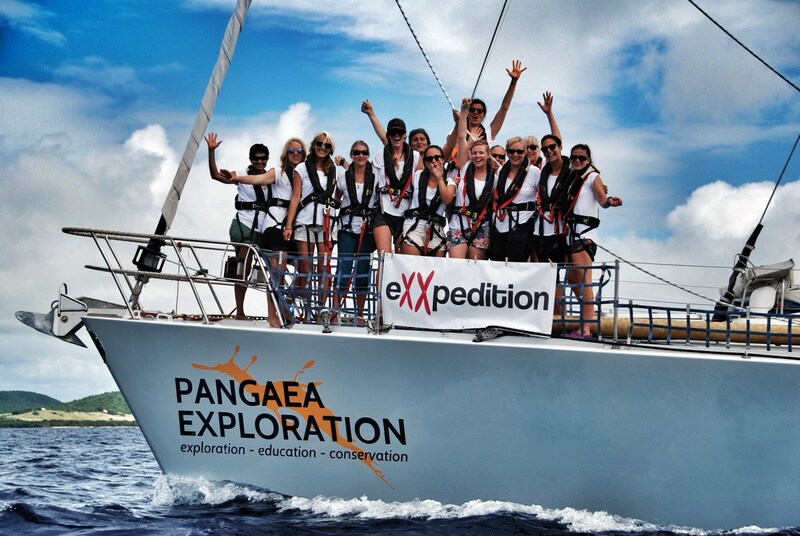 Mercator Ocean International and CMEMS are supporting Exxpedition, an all-women’s scientific research expedition that is currently sailing across the North Pacific Gyre investigating solutions to Ocean Plastic Pollution. Mercator Ocean International provide Exxpedition drift computations using CMEMS data to demonstrate the concentration of plastics in the North Pacific Gyre. The expedition is headed by Emily Penn, a renowned British skipper and ocean activist. 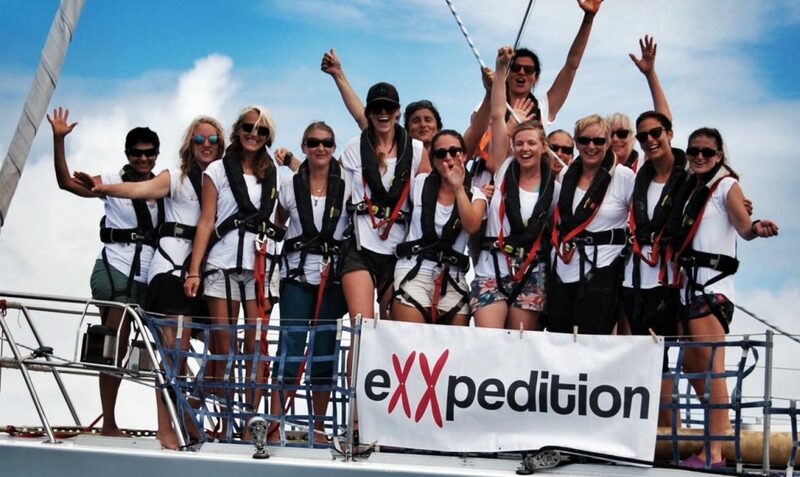 The crew is made up of a diverse and international group of 24 women from Britain, USA, Canada, Slovenia, Norway and Honduras from a variety of different backgrounds: scientists, students, artists, filmmakers, business women, psychologists, actors, ocean activists and sustainability professionals, and novice as well as experienced sailors..
Split over two voyage legs, they will journey for a month over 3,000 nautical miles through the densest ocean plastic accumulation zone on the planet, the North Pacific Gyre – better known as the Great Pacific Garbage Patch. The crew will conduct daily trawls for plastics and pollutants, and collect data for a variety of global datasets and scientific research studies along the way. This data is used to support scientists in the UK, Canada, Switzerland and the USA including conservation organisation Ocean Wise in Canada and the Hawaii Pacific University. Studies range in focus from understanding the impact of plastic pollution on sea turtle environments to microplastics and the impact of toxics carried on plastic, on our bodies. “Bold, exciting and innovative science into ocean plastic and toxics is at the heart of all eXXpedition voyages. This year, we are seeing a shift in scientific focus. 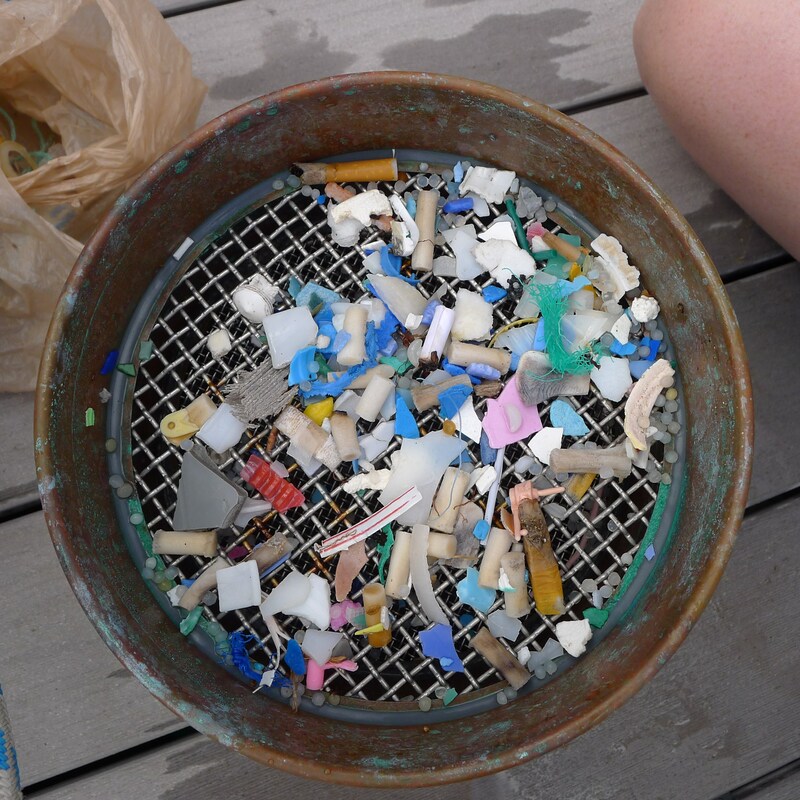 Scientists still want to know how much plastic is out there and where it is, but they also want to know which toxic chemicals are on the surface of it, whether organisms are growing on it and what the impacts might be on wildlife, and on us” says Mission Leader Emily Penn. 25th June – 14th July – Crew will be off-shore crossing the North Pacific Gyre. Weekly Dispatches (film, photo, narrative from events at sea) and Press Release updates. 14th July – Arrival Time tbc – Leg 1 ends. Crew arrive to Vancouver and will be moored at False Creek in Downtown Vancouver. 14th July – 1500 to 1630 PST Vancouver Press Call to the Boat where in-person or streamed interviews available with Mission Leader Emily Penn & crew. 14th July – 1900 to 2130 PST Private event at the Vancouver Aquarium hosted by Port of Vancouver. An evening of talks, film and inspiration from the crew and partners including scientists from Ocean Wise and Port of Vancouver. 26th July – 1700 – 1800 PST Victoria. Press Call to the boat where in-person or streamed interviews available with Mission Leader Emily Penn & crew. Details on request. 26th July – 1900 – 2100 PST Event at Patagonia Store, Victoria hosted by Surfrider Foundation evening of talks, film and inspiration from the crew and partners. 28th July – Expedition ends in Seattle.